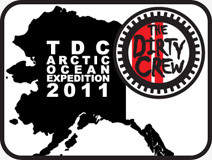 The Dirty Crew: The Dirty Crew - Second Generation? The Dirty Crew - Second Generation? Ryan's first ride (other than a couple of circles in the back yard). Training loop for the Desert 100 and full-fledged TDC membership. Not to be confused with Last Minute Ryan of course. Oh, Ryan is going to be 5th-gear-wide-open riding sideways everywhere around Wambaw before we know it. Get that guy in a CH-47 Chinook into the Desert 100 and he'll be honest TDC!